Marie’s Diamond returns to the Curragh for the Jebel Ali Racecourse And Stables Anglesey Stakes on Saturday. 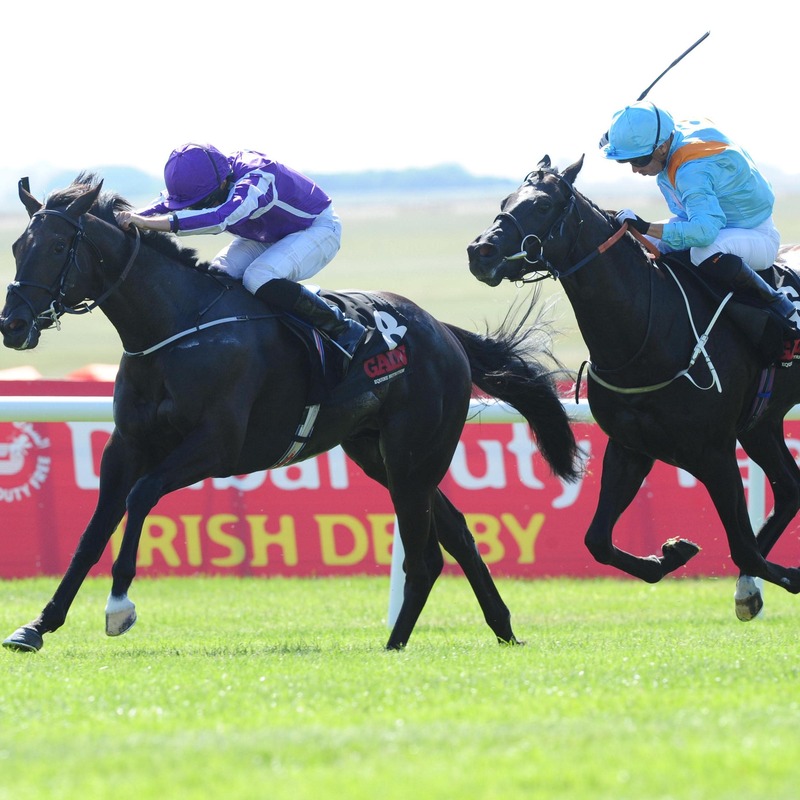 Mark Johnston’s Leicester and Chester winner proved his worth at Pattern level when narrowly denied by the Aidan O’Brien-trained Van Beethoven in the Group Two Railway Stakes on Irish Derby weekend. The winner disappointed on his next start in the July Stakes at Newmarket, as did the third Certain Lad in the Superlative at the same meeting, but connections of Marie’s Diamond nevertheless head to Ireland with high hopes of Group Three honours. Mike Prince, of Middleham Park Racing, said: “We were delighted to get James Doyle booked earlier in the week, we knew he was going over to ride Sea Of Class in the Oaks. “We were pleased with his run in the Railway, but obviously that form hasn’t worked out too well to date. O’Brien has saddled 11 previous winners of the Anglesey Stakes and this year relies on Just Wonderful, who was a disappointing favourite in the Albany Stakes at Royal Ascot, and last week’s Navan maiden winner Fantasy. Just Wonderful was having only her second career start at the Royal meeting, having won a Curragh maiden, and the Ballydoyle trainer feels she will be wiser for the experience. He said: “She’s in good form. She got a little bit of time since Ascot and she’s just ready to start back again. The Khalid Abdullah-owned Viadera appears a major contender for Ger Lyons following her successful racecourse debut at the Curragh three weeks ago. Jim Bolger’s Cruciatus and Gee Rex from John Hayden’s yard complete the line-up. A strong field of 17 sprinters is set to go to post for the 100,000 euro Tote Scurry Handicap. Leading hopes for the home team include Michael O’Callaghan’s Hello Brigette and O’Brien’s Full Moon, while David Barron’s Gunmetal and the Eve Johnson Houghton-trained Ice Age are two major contenders from Britain. Gunmetal is on a hat-trick following triumphs at Thirsk and Newmarket and Ice Age atoned for a disappointing run in the Wokingham at Royal Ascot with a fourth course win at Windsor at the start of this month. Johnson Houghton told At The Races: “I adore this horse. He’s never run particularly well at Ascot, but he bounced back to win at Windsor, which is a track he loves. “He’s won at the Curragh before and he’s the sort of horse who runs well on the same tracks every year. “He’s not ground dependent at all. If he’s in good form with himself, that’s all that matters really. Lisa O’Neill has strong claims of landing the Boodles Ladies Derby for the second year in succession aboard Gordon Elliott’s recent Bellewstown scorer Batts Rock. His main threat appears to be the Ted Walsh-trained Minnie Dahill, the mount of Jody Townend. The opening Club Godolphin Irish EBF Maiden looks a competitive heat with Giga White, Guaranteed and Mount Tabora all bringing decent form to the table.